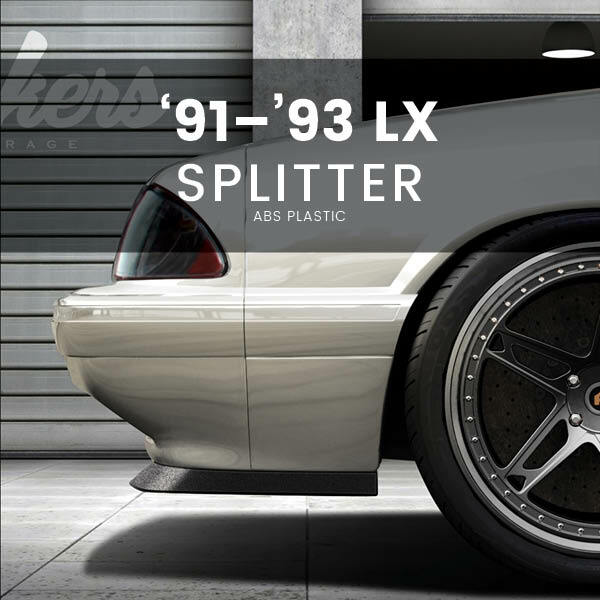 ABS Plastic Front Chin Splitter for 1991 – 1993 LX Ford Mustang. We’ll keep you updated on the production status and when you can expect delivery. Orders take on average 1 week to be shipped from the time of purchase. ABS Plastic Front Chin Splitter for 1991 – 1993 LX Ford Mustang. Fits LX Foxbody equipped with ’91–’93 LX fender extensions. 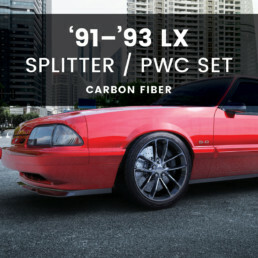 Includes all mounting hardware, and detailed installation instructions.